Doctor As Teacher—Educate patients in the steps to achieving and maintaining health. This is one of the reasons the Brannick Clinic newsletter exists. We provide information on a variety of health related topics and keep healthy living in the forefront of your mind. For years, I have counseled my patients about eating healthy. What we ingest can either help us achieve or maintain health, or it can work toward making us sick, lethargic and symptomatic. Caring for ourselves and our families is often a trade-off with things like earning a living and taking our kids to soccer practice. Healthy meals become relegated to a secondary position—it’s just the way it is. I met author, Tracy Hill several years ago. I was pleased to learn we share the same philosophy on nutrition. Her first book, Delightfully Free, became a teaching aid for me as well my personal go-to cookbook for healthy eating. It provides easy to make recipes for breakfast, lunch and dinner that the whole family enjoys. I’ve even used Tracy’s healthy recipes for holiday meals and received many compliments and requests for the recipes. My patients have reported similar experiences and as a result, we’re all doing better at living a healthier lifestyle. Tracy decided to expand on the success of Delightfully Free by offering a sequel—Even More Delightfully Free. She asked me to write the foreword and I’m pleased to add her new book to my arsenal of teaching aids. 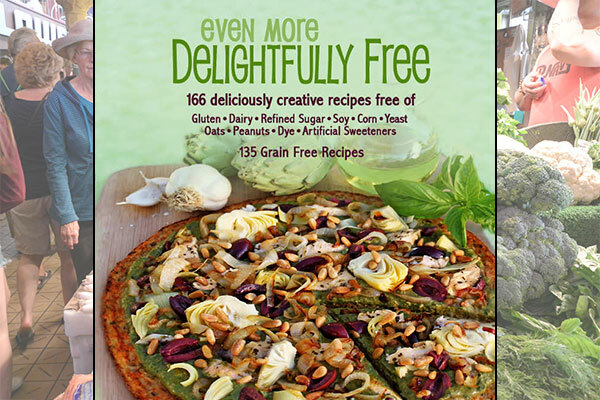 The book is just great and is full of healthy and delicious recipes. As a physician and a mother, I recommend both cookbooks.